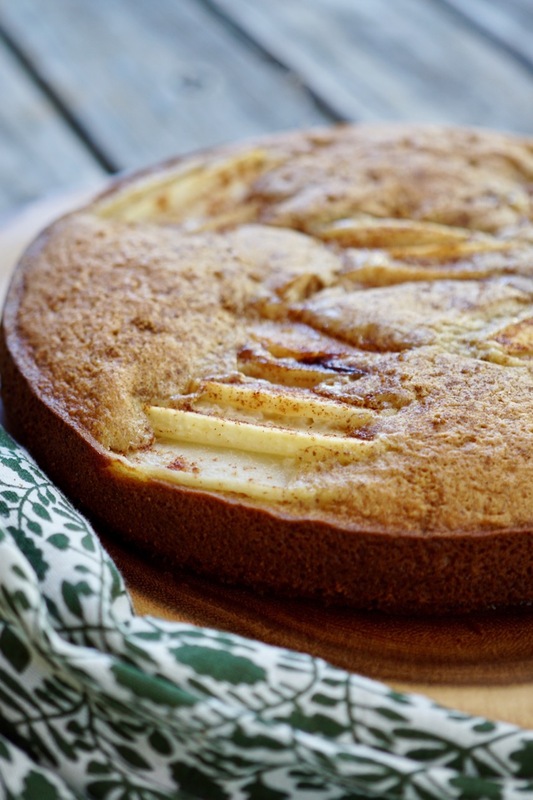 Pear olive oil cake: a delicious easy go-to cake for the holidays. Preheat the oven to 325 degrees F. Line a 10-inch springform pan with parchment paper and lightly oil. Set aside. In a small bowl mix together the flour, almond flour, baking powder and salt. Mix well to incorporate and set aside. In the bowl of a kitchen mixer, such as a KitchenAid, fitted with a paddle attachment, add the oil, sugar and vanilla, mix well for about 1 minute. Add the eggs, one at a time, beating well after each addition. Add the milk. With the mixer on low, add the flour-mixture and blend. Pour the batter in to the prepared cake pan. Tap the pan on the counter to release any air bubbles in the batter. Set aside. Arrange the pear slices on top pressing the pears slightly into the batter. The pears can be designed in any way you desire. I like to divide the pie into quadrants and to layer slices out from the center in each of the four sections, as shown in the photos above. Sprinkle the top of the cake with the remaining 2 teaspoons of sugar and cinnamon. Place in the oven and bake until firm to the touch, about 35 minutes. Turn the oven off and allow to sit in the oven for an additional 5 minutes. Remove from the oven and allow to cool before slicing. Serve straight up, with fresh whipped cream or vanilla ice cream depending on what you prefer. 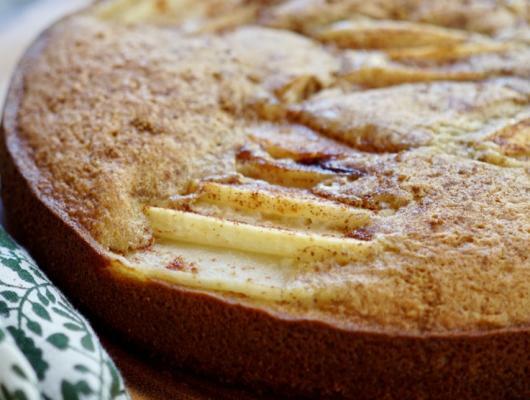 Pear olive oil cake: a delicious easy go-to cake for the Fall.